Thaanga Mudila Da Saamy - Popular Actor's Statement On Super Deluxe! The much-hyped Super Deluxe hit the theaters last Friday (March 29) and the movie is off to a great start with some positive reviews all around. The movie featured big names like Vijay Sethupathi, Fahadh Faasil, Samantha Akkineni, Ramya Krishnan, Mysskin, Gayathrie, Mirnalini, and Bagavathi Perumal in important roles. Written and directed by Thiagarajan Kumararaja of Aaranya Kaandam fame has indeed proved his material with a film after almost 8years. The movie is being highly applauded by fans and celebrities and it was rare to see a mixed or negative review about the movie. 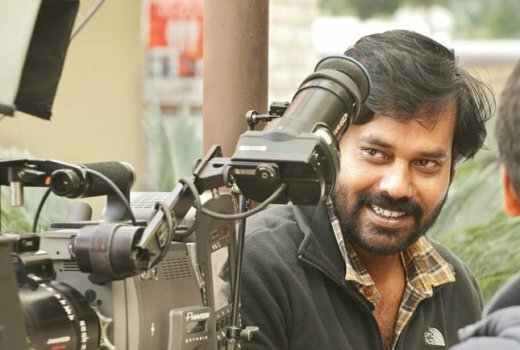 But as a contrasting word from others, popular actor - cinematographer Natarajan Subramanian, better known as Natty has come out with some gloomy words about the Super Deluxe. It is indeed rare for any movie to please everyone and Super Deluxe seems to have failed to impress Natty.